Enhanced with hyaluronic acid, this anti-ageing formula is enriched with Omega rich plant oils, regenerating vitamins, and fragrant oils of lemon & lavender to help leave skin plumped, protected and nourished. In this ordinary jar is our extraordinary moisturiser. Easy to use it gives real results and absorbs in superfast leaving you primed and ready for the day ahead. 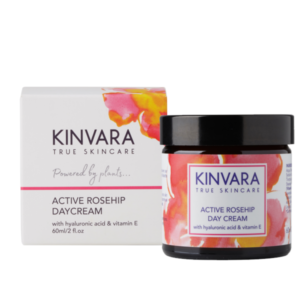 Containing essential plant oils, regenerating vitamins, Lemon, Lavender and natural plumping Hyaluronic Acid, Natures’ own wonder ingredient. Choose the CALM blend if you need to simply wind down especially after a long day at the office. This delicate blend with a wonderful floral aroma of Lavender and Ylang Ylang will help soothe the soul. 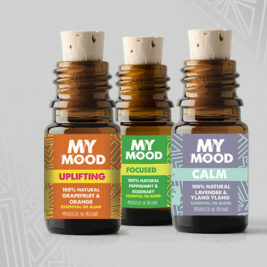 This CALM MYMOOD BLEND helps the body get into a relaxed state, let all your worries go away, feel relaxed and stress free. If you suffer from anxiety or nerves before a presentation or public speaking this blend is for you. FREE: In-store demonstration and product information with Zuzana Sladeckova, brand ambassador of the therapeutic essential oils range doTERRA. Call in to Nutri to find what essential oils can do for you. 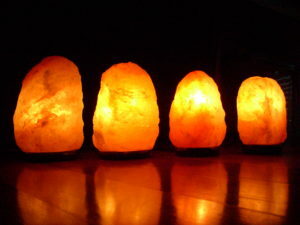 Improve your mood and air quality with a Himalayan Salt Lamp mined directly from the Punjabi province. Boxed and ideally presented for Christmas gifts. Now with free delivery for Christmas!!!!! 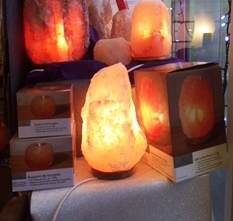 Come in and get your genuine air purifying Himalayan salt lamp, just in time to cosy up your living space for winter. All shapes and sizes are currently in stock and can be bought online or in store! 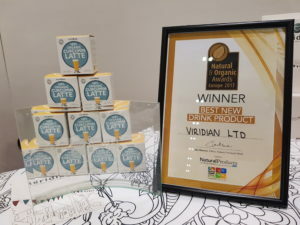 A new uplifting warm drink – 100% Organic Curcumin Latte – by Viridian Nutrition has won the Best New Drink Product Award. The latest innovation by the leading ethical supplements won the award category at the prestigious Natural and Organic Products Show Europe 2017, which showcases the hottest new products in natural living. This warming latte is a blend of turmeric whole root with high strength turmeric extract and aromatic spices which creates a pleasant-tasting high potency drink when mixed into a warm, plant based milk. Carefully formulated by the experts at Viridian Nutrition, the Organic Curcumin Latte features a high-strength turmeric root extract providing 170mg of potent curcuminoids per serving. Originating from South East Asia, turmeric root has a rich history within ancient Ayurvedic traditions. The ingredients have been sustainably sourced and are certified organic by the Soil Association. To enjoy Organic Curcumin Latte, simply mix half a teaspoon into your favourite warm milk – such as oat, coconut or almond – and drink as an uplifting caffeine-free alternative. The Organic Curcumin Latte is 19EUR for 30g. Each jar contains 30 servings (53p per cup). Organic Curcumin Latte joins the Viridian Nutrition 200+ range of nutritional supplements which includes Organic Curcumin Extract capsules and Organic Turmeric capsules. Viridian Nutrition is founded on the principles of Purity, the Environment and Charity. It is passionate about 100% active ingredients, organics, non GM, non-irradiated, allergen-free, and is against animal testing. High-potency with 170mg curcuminoids per serving. Full-spectrum turmeric whole root and turmeric extract. With organic ginger root, chilli, cardamom seed, cinnamon bark and vanilla bean powders. Great tasting, healthy, caffeine-free hot drink. 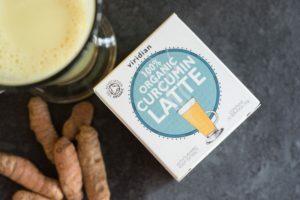 Viridian’s Organic Curcumin Latte is available in our store. Order here or come to Nutri – George Street Arcade. Inulin and FructoOligoSaccharides (FOS) are soluble prebiotic fibers that promote gut and overall health through their fermentation by gut flora. This helps to maintain proper pH in the gut, discourage the growth of unfriendly bacteria, reduce the absorption of toxic ammonia and positively affect bone health by increasing the bio-availability of dietary calcium. Mix 1 scoop into water, juice, protein drink mix, smoothie or other beverages. Take 1 to 2 times per day or as directed by your qualified healthcare professional. No wheat, no gluten, no soybeans, no dairy, no egg, no fish/shelfish, no peanuts/tree nuts. Dietary Supplement suitable for vegetarians / vegans. Not suitable for children. This rich, moisturising body wash has been formulated to gently cleanse, restore and revitalise even the most sensitive of skin. 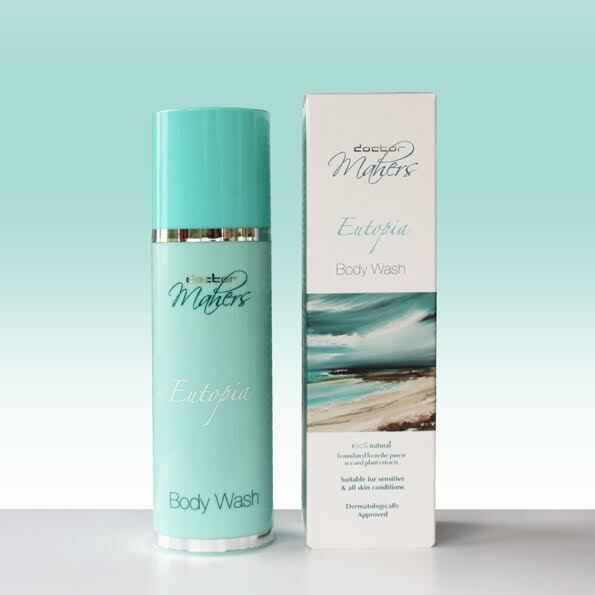 Enjoy a super moisturising, deeply hydrating bathing experience with a body wash bursting with moisture-capturing lipids & linoleic acid phytoserols. Try it today and feel luxuriously pampered! 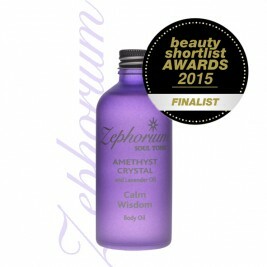 Zephorium’s range of exquisite beauty & health products were acknowledged at last week’s Beauty Shortlist Awards. The Beauty Shortlist, founded by beauty journalist Fiona Klonarides, has provided a staple and honest review of all health and beauty products since 2009. If it’s new, green and fabulous, it’s likely to have featured in The Beauty Shortlist. Zephorium’s Amethyst and Lavender Body Oil won 1st Finalist in the Best Body Oil category. With its blend of lavender, geranium and neroli, this delightful oil combines with sweet almond, vitamin E, sunflower and grapeseed oil to nourish and care for the gentlest of skin. It can be used as a moisturiser, massage/hair oil, and adds a sense of luxury to bath time. Come in and have a look at the full Zephorium range. There are body lotions, natural rollettes and aura sprays too. Beautiful, jewel-coloured bottles just waiting for a new home. An exciting new range of kombucha drinks has hit our fridges! SynerChi is an Irish-owned kombucha brewery producing 100% natural and organic kombucha based drinks in Gweedore, Donegal. 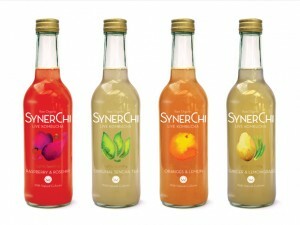 SynerChi comes in a range of 4 delicious flavours and offers a healthy alternative to fizzy drinks. Careful blending of organic teas and tissanes with traditionally fermented kombucha culture results in a naturally effervescent, refreshing drink. Kombucha is a very old fermented drink which has been documented to date back as far as the Chinese Qin Dynasty, 221 BC. Made from combining sweetened tea with the live kombucha culture, naturally occurring antioxidants and enzymes are produced which compare with those of raw fruit and vegetables.